For more than two decades and up to the present day, Cultural Survival volunteers have taken the lead in identifying and protecting ancient traditions of Sri Lanka's multi-religious pilgrimage centre dedicated to the unconquerable, ever-youthful spirit of the island's forest interior. 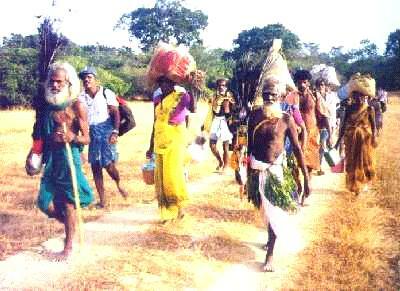 The Kataragama Pada Yatra, or age-old traditional foot pilgrimage to the jungle shrine, was revived with volunteer support in 1988 and today survives thanks to the supporting role of Cultural Survival volunteers. Visit the Kataragama.org website and the Kataragama Devotees Trust home page.